This game has the makings to be a crazy, high-scoring contest, and I wouldn't have it any other way. The Arizona Cardinals are putting up points at will. With each passing game, their offense finds new ways to move the ball down field and impress me. If they get to 30 points, they will win this game. On the other side of the coin is a Packers team that put up 35 points themselves in a road win at Washington. Please don't mistake Washington for a good team. They aren't. I think the Packers caught lightning in a bottle last week and will feel the wrath (again) of a much more balanced and superior team. Lets dive into some of the best prop bets for each game with some picks, predictions and analysis. All odds can be found SportsBettingOnline.ag . 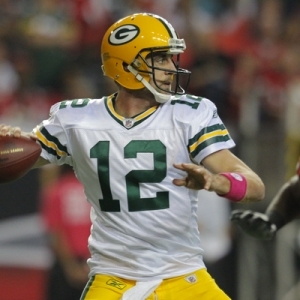 The Green Bay Packers offense is back and firing on all cylinders! At least, that is what the world thinks and what the Packers want you to believe. After an impressive showing against Washington, the Packers come into this game with a little momentum. They put up 35 points on 346 total yards. I think that speaks more to how bad the Redskins defense is than how Green Bay "all of a sudden" figured out their offensive issues. Rodgers was still sacked six times. And against an Arizona defense this ferocious, we might be in for a Week 16 repeat. If this was college football, I could argue the revenge factor a million times over and convince myself in taking Green Bay in this game. Since this is the National Football League, the revenge factor is a bit of a myth. We saw this exact matchup in Week 16, and it was not a pretty sight if you are a Packers fan! The Cardinals were up 31-0 at one point and 31-8 after the third quarter. They put up 381 yards of total offense. But what is more impressive is the fact they held GB to only 178 yards. A putrid 178 yards of total offense will not win you a playoff game, and I can't find any scenario where the Cardinals defense disappears and lets Aaron Rodgers do Aaron Rodgers' type things. Arizona will win this game. Take them on the spread, but be sure to shop around for the best line. Take them on the half-time line; take them every which way you can. Zona' gets it done! I could literally just copy and paste exactly what I wrote above into this section and it would make total sense for this prop. The Cardinals have scored first in 10 of their games this year and won all 10. They have scored second three times and still managed to win. I like their chances of scoring first and running up the score once again! Packers WR Davante Adams is doubtful to play after suffering a knee injury in the win versus Washington; that is a huge blow to a receiving corps that is already one of the slowest in the league and has virtually no deep ball threat. The Cardinals sacked Rodgers nine times in the first meeting, and with a make shift, inexperienced offensive line, in a hostile road environment, look for more of the same. Some things in life are just guaranteed. Death, taxes, Nick Saban winning football games. All three of those things really piss me off! The fourth guarantee in life - this pick right here. I expected this around line around 17. Is Arizona suddenly bad because of one meaningless game against Seattle in Week 17? The offense is a juggernaut! They have receivers who can fly, unheralded rookie running backs who can pound the rock, and a quarterback who would be considered a serious MVP candidate if Mr. Dab (Cam Newton) wasn't playing out of his mind this year. And last but certainly not least, a superb, opportunistic defense that makes plays. Starting your drive with a short field is huge in any game. I expect one or two of those for Arizona in the first half. They should put up 21+ in the first half, and I will be laughing when my bet get graded as a winner. I hope you will be too.